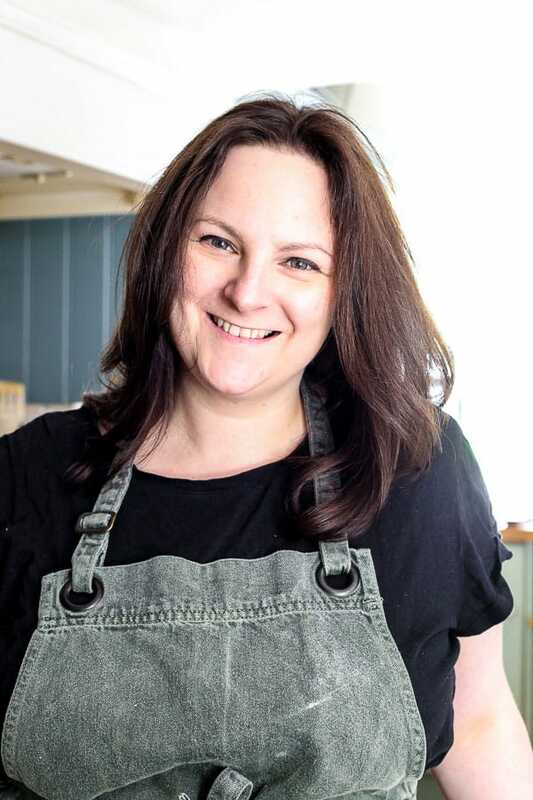 Hi I’m Georgina, the recipe developer, writer and photographer behind From The Larder. I live in London with my husband, Luke, our two sons, Cole and Beau, our dog Billy Buddy and our two cats, Willow and Wesley. I founded From The Larder in 2013 when I took some time out as a TV Producer to write a novel. Instead I procrastinated and started blogging about what I was having for dinner and my favourite family recipes and cakes. My mum loved reading it and I loved writing it so I kept at it. Well I never went back to TV producing and still haven’t written that novel. 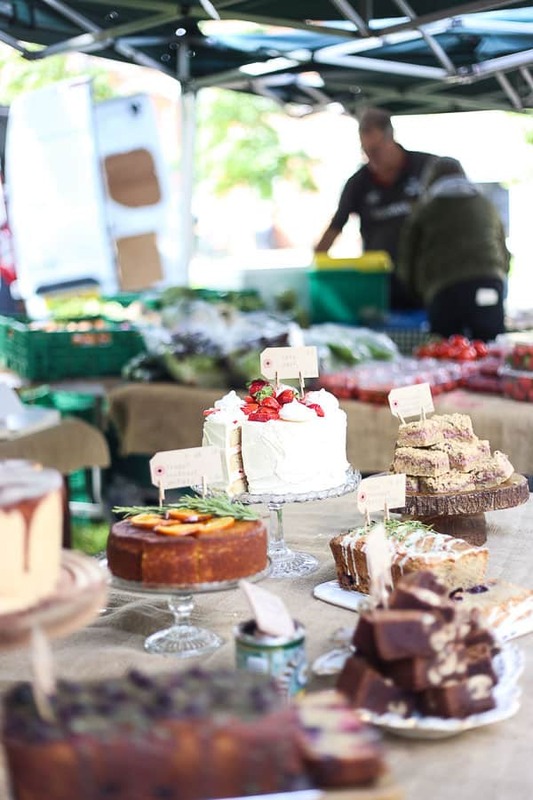 But in 2014 I did set up my own business selling gluten-free cakes and preserves at farmers’ markets, fairs and delis in London. I also create bespoke made-to-order gluten-free cakes for private clients. I have been eating more or less gluten-free for a number of years but made the full transition in my business and in all my recipes in 2016. Turns out being gluten intolerant and a baker was playing havoc with my health. For a really in-depth chat about my journey to gluten-free living have a read here. At From The Larder you can find a range of gluten-free recipes from savoury dishes to breakfast ideas to baking basics. I dabble in paleo and Whole30 savouries but go pretty big on dessert. I am a beautiful contradiction. Cakes are my love language. 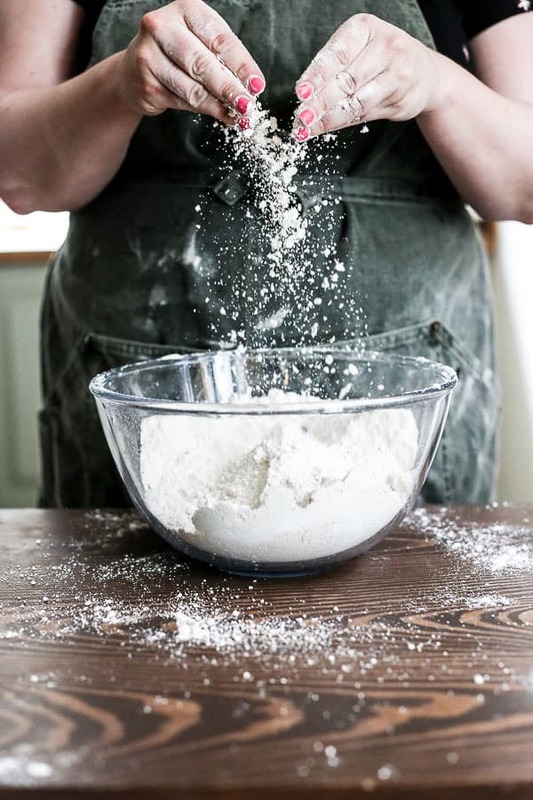 When I dove into the world of gluten-free baking I had no idea I was going to fall head over heels for alternative flours. Learning about all the flours from sorghum to teff to buckwheat has been such an exciting journey for me and I love to teach others how to incorporate these flours in their baking. To get you started in the glamorous world of alternative flours you can check out my popular blog series on Gluten-Free Flours or why not have a look at my Ultimate Guide to Gluten-Free Cakes which tells you exactly how you can make perfect gluten-free cakes and bakes, every time. Xanthan Gum isn’t a swear word as such round these parts but you will find me curse it often when I’m reading the labels of gluten-free products. I am intolerant to all these weird gums and as such none of my recipes contain xanthan gum or guar gum. For more info read Why I Don’t Bake with Xanthan Gum. If you’re still hungry for more info then you can check out 11 Things You Might Like to Know About Me. Then tell me all about you. I love to hear from you all so do email me at georgina@fromthelarder.co.uk. Or you can connect with me via Instagram where I regularly hang out or follow me on Pinterest where my most popular board is all about those Gluten-Free Cakes and Bakes. From The Larder has been featured in The Guardian, Delicious Magazine, Country Living, Womens Health Mag, Coeliac.org.uk, The Feedfeed, Buzzfeed, Bloglovin, Foodgawker, among others and was voted one of the Top 10 UK Gluten Free Blogs and Websites to Follow in 2018 by Feedspot. If you are interested in working with me through brand ambassadorships, recipe or content creation or sponsored content then please contact me for more information.